Hello Pubsters . I”m still in Cairns so this is a quick Friday Post. I’m Sure all people on this site contributors and lurkers where saddened to hear of the passing of Fiona’s Mum. I only met her once and liked her immensely. We owe her and her husband many thanks for raising such a wonderful daughter. Polish astronomer Aleksander Wolszczan announced that he found two planets orbiting the pulsar PSR 1257+12. During his six-year reign, thousands of political opponents were incarcerated and tortured. In reality, the famous image depicts a toy submarine with a head and neck made of wood putty. Manfred von Richthofen was a legendary German fighter pilot. He earned his renown and nickname by achieving 80 air combat victories in World War I. He was shot down and killed during combat at the age of 25. In popular culture, the monarch is known mainly for his six marriages, two of which ended with the wife’s execution. As Anzac Day is next Tuesday I predict the Libs are going to ramp up the patriotism cry to high level. I don’t think it is doing them much good. Australia has told China it remains committed to ratifying a controversial extradition treaty it grounded earlier this year but the Labor opposition says there has been no fresh approach by the government to court its support. The attorney general, George Brandis, said on Monday the Coalition remained committed to working towards ratification of the extradition treaty after details of a private meeting between Australian and Chinese ministers late last week were published by the Xinhua news agency. Brandis and the foreign minister, Julie Bishop, met the secretary of China’s central political and legal affairs commission, Meng Jianzhu, late last week. Or, rather, same soiled old flag. I mean, thinking more about Corbyn and UK Labour, it’s like, so much different from how it’s gone down with Shorten and Australian Labor. Yes, both Australian Labor and UK Labour have lost the past 2 elections. But the key difference is that Australian Labor has gone forwards, to the brink of majority government by only 6 seats. While UK Labour has simply gone backwards. Yes, I did vote for Albanese in the 2013 leadership election, but if another one happened I would vote for Shorten in a heartbeat for the simple reason that the ALP has gone forward and will very likely win government under his watch, because he’d displayed leadership and competence enough so that the majority of voters in this 2pp system support him. In fact my dream scenario for the 2019 election is for Abbott to win back the PM’ship from Turnbull and then exceed in suffering the worst loss of a PM since 1975, thus shattering the dreams of the loony right for at least a decade. But those circumstances will probably be a bit off. (But they could still happen. I mean, in early-mid 2019, Trump is very likely to be seen as a world pariah, and Abbott and his fellow deplorables might very much want to attach themselves to his brand of politics before they’re truly tested in an Australian federal election, and could get the result they very much deserve). And yet in the UK, Labour has only gone backwards under Corbyn, and look set to get its worst result since WW2. And yet there seems to be nothing anyone in the party can do about it, because a move to dislodge Corbyn by 80% of sitting MP’s had failed. I mean, god, declaring that you’re going to win power when the best poll result you have is 11% behind the government when you only lost to them by 7% in 2015 is really pushing it in terms of delusion. And the worst polls have them 25% behind the government. Also I remain confident. but not complacent that Macron can beat Le Pen. I mean he’s consistently polled 60% or greater over her all year. But of course, I was complacent about the US 2016 election to the point where I refused to believe the disaster as it happened in front of me, so, I’m not taking any chances in saying that that is any means in the bag. I’ll bet the Russians will release some scandal about Macron in the next few days and that’ll narrow the field considerably. Or otherwise do something nasty to the non-far-right forces. Macron another bankster ‘liberal” a la Truffles and John Key . We know which side he is on. Perhaps, but, I’d prefer him to the female Trump, which is the only other of the 2 options open out there in France now. I mean, god, the UN for one will be absolutely insane. Of the 5 veto’ing powers, Putin, Trump and Le Pen would be beyond help. May would be entirely dependent on the other mad powers, and that leaves China’s Xi Jinping as the only moderating force. I mean how crazy is that? Unfortunately the “centre” have aligned themselves with the “money” and in Blair and Clinton style royally fucked the peasants. That they are reduced to “vote for us as we are not as bad as them” says it all. If you are going to get screwed either way why not go down giving a big stinkefinger to those who by their actions have shown themselves to fraudulently claim to be on your side ? Because if you do that the really bad guys will be in charge and then … you ain’t seen nothing yet. I’d say to that – the choice between getting screwed up between the centre and the far right is that the far right is less likely to give a damn when passing legislation that actually results in killing people. I mean yes, the centre may not be as pure as the idealistic left governments, but, the far right alternatives are more likely to just adopt “kill the poor” policies and do not give the slightest damn to any backfire toward adopting those stances. https://www.dissentmagazine.org/online_articles/french-election-trouble-with-emmanuel-macron-centrism there’s some truth in this, although I am not as down about Macron as teh author of this is. However, I have taken note of cautious moves by our Labor party to develop more of a traditional social democratic economic platform, and move away from the third-way stuff. In the long run, I believe its death for centre left parties to stay that way post GFC. Worth remembering that only 22% of French people want France to leave the euro – one of Le Pen's key promises. Also 58% of French people see the Front National as a danger to democracy. (Up from 46% in 2012). Listening to the “Well may we say” podcast this week, I hear that one effect of Turnbull’s 457 visa legislation changes will dramatically affect Australians in a bad way – namely in the video game industry. Basically, the video game industry is currently huge in the world today. But it never really took that much of a hold in Australia, in terms of creating games. What limited reach we have here is the best we can get. However, because of these 457 visa changes, it means we may very well be no longer able to get senior staff from overseas, in America, Japan, etc that have been successful in handling video game industries in those countries to come to Australia and be able to effectively handle the tens of thousands of Australians that have gone through university in order to try and become an effective part of this industry. And now it seems because of these changes, the fledgling Australian video game industry will simply not have a chance in the long run. I’ll say that my ideal changes to the 457 visas will be to simply stop employers being able to import foreign workers by the dozen and criminally underemploy them and threaten to deport them if they speak out. That was what Labor’s 457 visa changes woiuld have ideally entailed. Not destruction of industries like this. Thinking a little more on the 457 visa issue, I’m a little worried that the Coalition may have stolen the message about it. That they and their allies in the media have convinced everyone that 457 visa’s are all about corrupt employers bringing over dozens of people from India and other Asian countries to pack them away in pathetic accommodation with 10 people sleeping on the floor in a 1 bedroom flat and force them to work below the minimum wage in 7/11’s while homegrown Australians miss out on jobs. And in abolishing the 457 visa, the Coalition will pretend to have solved this problem, when it has not and will not care about people profiteering on others like this. That’s the message that’s up for grabs here. I think Labor needs to make its move about bringing about the truth of this fairly quickly. Good morning Dawn Patrollers. Plenty for you today! This week’s Essential poll stays at 53/47. And it shows Abbott becoming even more on the nose. Paul Bongiorno writes that the image of Tony Abbott in boxing gloves in the weekend papers was fake news as far as the former prime minister was concerned. But there’s nothing fake about the blows he continues to land on Malcolm Turnbull. The fight club is in full swing he says. David Wroe on North Korea’s reaction to Australia’s comments. Now Immigration is challenging Centrelink for the outstanding phone service award! Potatohead is demanding an apology from the ABC after his grilling on Insiders. Apparently, it is Australian values to blatantly lie and incite hatred towards asylum seekers writes John Passant. He says Dutton is a deceitful dogwhistler. Peta Credlin on the Liberal Party’s “Game of Knives” and how it is helping Shorten. Google. Peter Martin writes that Australia’s most eminent economists have rubbished a proposal for a “gas reservation” policy under which 15 per cent of all gas produced would have to be reserved for local use. David Crowe writes that with federal deficits likely to add up to $400 billion over 12 years to 2020, cabinet ministers are searching for ways to scale back spending while preventing the overall tax burden going beyond the cap they set in previous budgets. Google. Peter FitzSimons’ article on Anzac Day is worth reading. John Birmingham says we can do much better when it comes to celebrating Anzac Day. John Bale writes that last year, more defence veterans took their own lives than the total number of Australians killed in the Afghanistan war. It’d time to act he says. Jenna Price says Turnbull should stand up for Kelly O’Dwyer. She calls Kroger a “turnip”. Nicholas Stuart wonders if Trump and his team is up to following through on their bellicose pronouncements over North Korea. Last night’s Q and A. A Filipino lawyer asked the International Criminal Court in The Hague on Monday to charge President Rodrigo Duterte and 11 other Philippine officials with mass murder and crimes against humanity in the killings of thousands of people over three decades. Francois Hollande strongly backs Macron over le Pen. So what’s ahead for France now? And in late breaking news l Pen has stepped down as leader of the National Front Party in attempt to attract a wider range of voters for the run off election. Google. Why le Pen can’t win now. Google. Australian tax officials have been told to prepare for a campaign to recover student and trades training loans from graduates and trainees living and working all over the world. Trump voters seem to be sticking with him. The risk of the controversial Adani Carmichael coalmine becoming a stranded asset has increased in the last 12 months, according to a new report. Canada and eight US states have done it. Why can’t NSW legalise cannabis? The positive effects of legalised gay marriage. Andrew Street goes underneath the Anzac Day tradition. Australian workers on average are working fewer hours than ever before as the shift from full-time to part-time work continues and, with it, the rise in underemployment. Greg Jericho and the diminishing opportunity for full time work. CocaCola Amati’s shares have taken a hiding in recent days after sales data was released. Section 4 . . .
Donald Trump risks marking his 100th day in office on Saturday with a government shutdown, as lawmakers return from a spring recess anxious to reach a funding agreement to avert a crisis nobody wants. Nicola Sturgeon says PM wants to avoid police investigation into Tory election expenses in the 2015 campaign catching up with party. Andrew West writes that it was a superb win for the the Australian Tax Office against Chevron in the Federal Court last week but there is something everyone is missing, something which will turn the art of tax avoidance on its head; a game-changer for multinationals. Now there’s a link between the corrupt NSW RSL and the Liberal Party through donations. The U.S. grew from a “backwoods country” to one of “greatest nations the world has ever known” thanks to science — but that pillar of America is eroding, astrophysicist Neil deGrasse Tyson warns. The Medich brothers are fine citizens. Not! 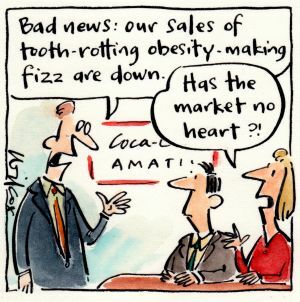 Cathy Wilcox and CocaCola’s flagging sales. Pat Campbell and the citizenship test. 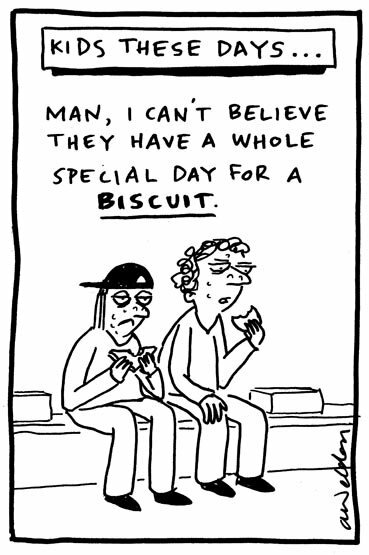 Andrew Weldon and the young ones’ appreciation of Anzac Day. Ron Tandberg and the Australian “fair go”. Andre Dyson and Australian values. Matt Golding with a cracker on Australian values! 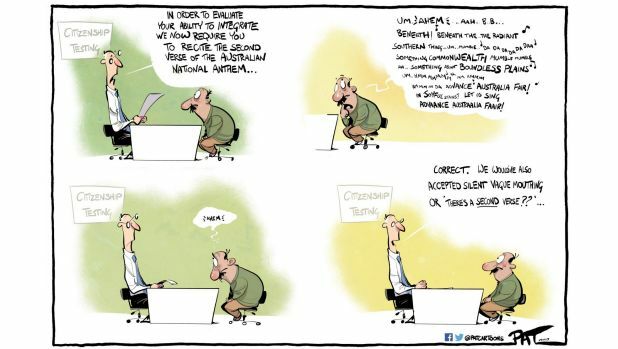 Mark Knight and our wartime path. Pat Clement with George Brandis, champion reverser. A “secret” trip to Afghanistan that’s splurged all over the newspapers. Like Malcolm, those pouches would be full of air! Pity he didn’t go to Syria. A picture to have the abbott howling with envy. I don’t know who wrote that subheading but it’s perfect. 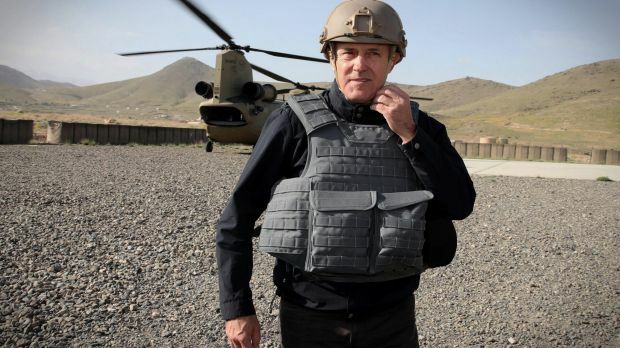 And there’s a glorious picture of Mal The Magnificent with Australian soldiers and an outsize flag. Sorry that link is the wrong one, although an issue close to my heart. David Wroe says North Korea’s verbal spray yesterday was because Australia was ‘speaking out’. There’s a lot more to North Korea’s interest in Australia than what Julie Bishop has said lately. For a start there are those US communications bases here, which North Korea knows all about and would, should hostilities escalate, want to destroy. The world has been imposing sanctions on North Korea for years now. It happens every time that country does something that upsets the UN or another government. The North Korean government must be getting very sick of these actions. Last Friday the UNSC announced North Korea must stop missile tests or face more sanctions. Julie Bishop rushed to make a similar announcement and also urged China to ‘do more’, to put pressure on North Korea. As you might expect, the North Koreans decided to hit back and told the world Australia (and other places, could, possibly, maybe, expect a few nukes. Australia was told to stop blindly following the US – or else. North Korea was also very unhappy with Julie Bishop. Foreign Minister Julie Bishop has reportedly sparked a threat of nuclear retaliation from North Korea after saying the rogue nation will be subject to further Australian sanctions. North Korea’s state-run KCNA news agency on Saturday quoted a foreign ministry spokesman accusing the Australian foreign minister of “spouting a string of rubbish against the DPRK over its entirely just steps for self-defence”. North Korea, just as childish as Bishop, then said the 1250 US troops based in Darwin were an invasion force, proof the US was preparing for a nuclear war. This morning we hear Trump has asked the UNSC to impose yet more sanctions. But just because Pyongyang has delivered a spray at Australia this week doesn’t mean it would enter into its strategic calculations when it was in an existential survival stand-off with the US in four or five years from now. How does that happen when Trump is so intent on war though? One last cheerful thought. The Korean War never ended. All we have is a truce, an armistice agreement that was meant to apply only until a peaceful settlement could be reached. That never happened. What we have had since 1953 is an armed stand-off between North and South Korea. It’s always been a real hair-trigger situation. Only a fool would try to provoke conflict. Trump is a fool.